Originally a progressive rock group, Europe didn't achieve success until they reworked their sound into bombastic yet melodic pop-metal. In their first incarnation, the Swedish band was called Force. Featuring core members Joey Tempest (vocals), John Norum (guitar), Tony Reno (drums), and John Leven (bass) -- the band won a national talent contest in the early '80s, which led to a record contract. After changing their name to Europe and releasing two albums in Sweden (Europe and Wings of Tomorrow), the band landed an international deal with Epic Records. By this time, Reno had left the group and been replaced by Ian Haugland. Keyboardist Mic Michaeli had also joined the lineup. In 1986, Europe released The Final Countdown. On the album, Michaeli's keyboards take a prominent role (they provide the main riff in the hit title track), which nicely complemented the band's smoother pop melodies. The change in style proved successful, as the record became a Top Ten hit in the U.S. and U.K.; both "The Final Countdown" and "Carrie" became Top Ten singles as well. Norum left the band by the end of the year and was replaced by Kee Marcello. Released in 1988, Out of This World continued the formula of the previous record. It was also a success, although its numbers didn't match those of The Final Countdown. 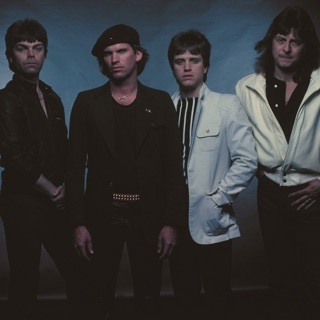 Three years later, Europe released their fifth studio album, Prisoners in Paradise, which featured the hit title track as well as the midtempo ballad "I'll Cry for You," before calling it quits the following year. The band, including Norum, reunited for a New Year's Eve performance in Stockholm in 1999, resulting in the announcement of an official reunion three years later. The band subsequently recorded and released their sixth album, Start from the Dark (2004), then followed it with Secret Society (2006) and Last Look at Eden (2009), the latter of which debuted at number one on the Swedish album chart. Bag of Bones (2012) had a blues-rock feel, while War of Kings (2015) was a heavy, doomy, faintly psychedelic affair strongly inspired by their childhood heroes Black Sabbath, Deep Purple, and Led Zeppelin.